This weekend we spent a lovely festive couple of days putting up our Christmas tree, decorating and doing some gift shopping (don’t tell my Mum, in Ireland Christmas officially doesn’t start until December 8th!). 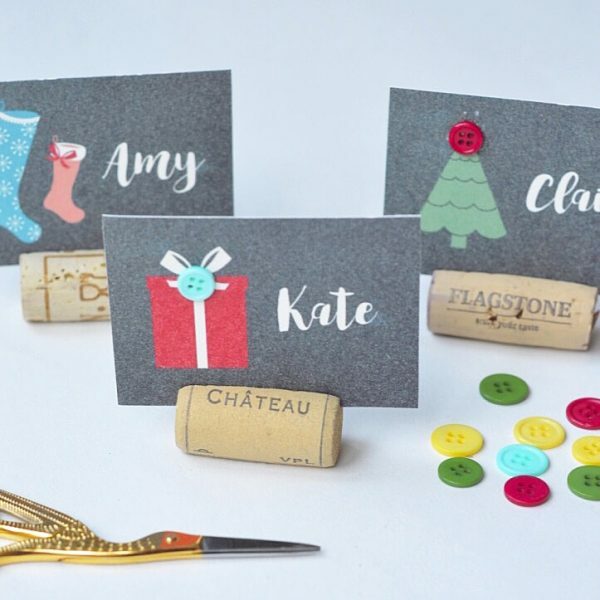 I was feeling in such a holiday mood that I whipped up these cute personalised Christmas table favours. Well they’re place names really, but I’m sure your guests would love to take these away with them! How sweet are they? I made up the cards in Picmonkey and then embellished them using buttons and twine and a hot glue gun. Easy peasy lemon squeezy and they’d make fun wedding place names for a Christmas wedding! 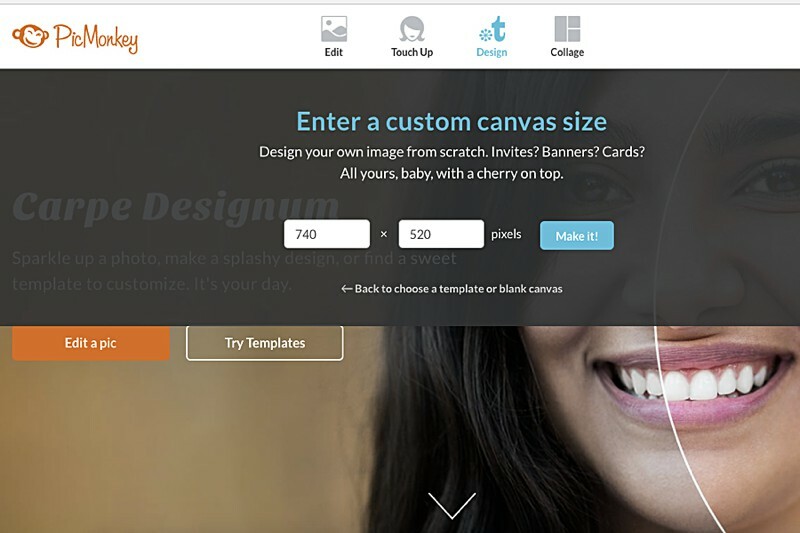 STEP 1: Open up Picmonkey.com and from the ‘Design’ option at the top choose ‘Custom’ and enter the size you want your card to be. 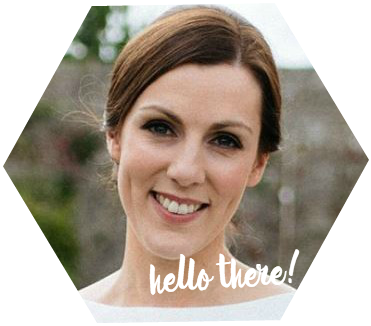 I opted for ‘A8’ size which is 74mm x 52mm – in pixels just multiply by 10 so 740px x 520px. It will open onto a blank canvas. 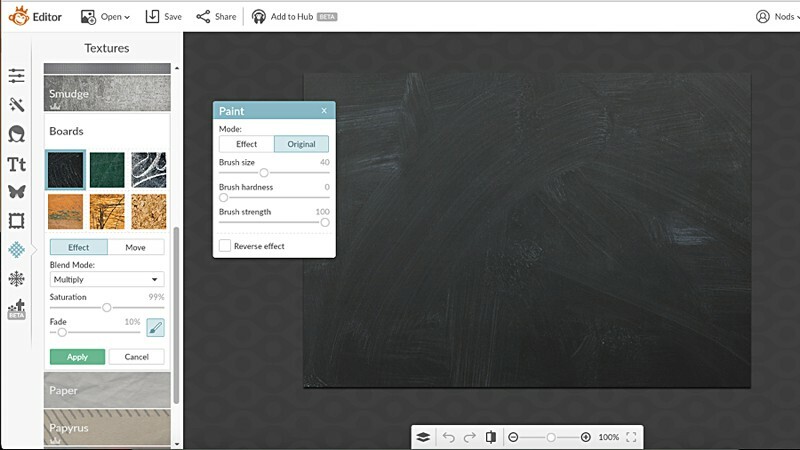 STEP 2: Choose a chalkboard background. Navigate to the ‘Textures’ option on the left hand menu (highlighted in blue below), scroll down to ‘Boards’ and choose the blackboard option on top left. I moved the Fade setting down to 10% to get a deeper shade of black. STEP 3: Now it’s time to add the fun stuff! Navigate to the special graphics area on the left hand menu – at the moment it looks like a snowflake. 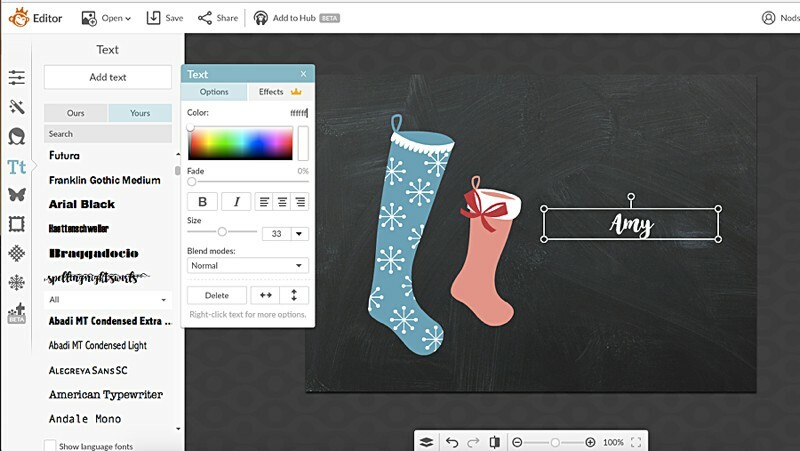 Choose the ‘Santa Land’ theme for a whole range of graphics to choose from. 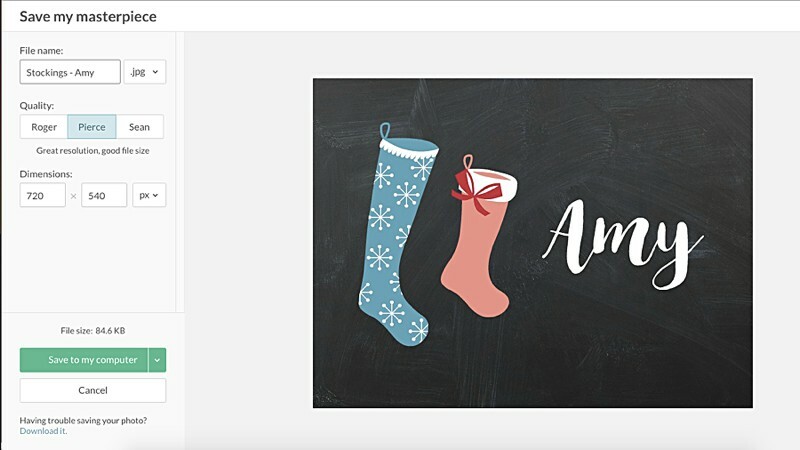 For my first card I decided to choose the Christmas stockings… pick your favourites and resize them as desired on the card. STEP 4: Now add your names. Navigate to the ‘Text’ option on the lefthand menu (Tt). Choose the font of your choice. I’ve gone for my current favourite ‘Spelling Night’ which is available to purchase from Creative Market. However, there are tons of free options in Picmonkey itself, or check out my post on 20 free calligraphy fonts that you can download. Type out the name and then change the colour of the font in the floating menu to white (‘FFFFFF’). Then resize the text to the size you need. STEP 5: Save the card to your computer. Choose the ‘Save’ option at the top left of the screen. Rename the file to whatever you like. I’d keep the file size as ‘Pierce” (love how they grade quality of image size by actors who played James Bond – but personally I’d be putting Craig at the top spot ) and then choose ‘Save to My Computer’ and save it somewhere where you can easily find it. Step 6: And repeat! I made 4 other card options. 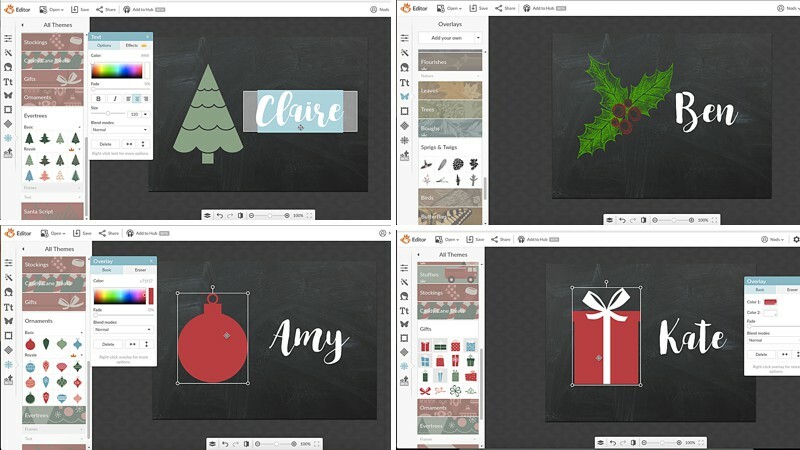 3 using graphics within the ‘Santa Land’ theme – a Christmas tree, bauble and gift – and holly from the ‘Sprigs & Twigs’ area within ‘Overlays’ section on the left hand menu (it looks like a butterfly). I changed the colour of the holly leaves from black to green. Make as many as you need for the people you have coming to dinner and save them all down. 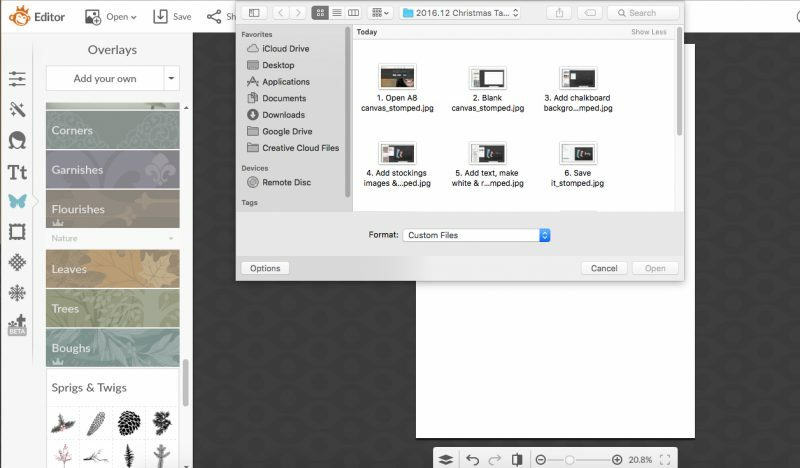 STEP 7: Collate the Christmas table favours onto a couple of A4 pages so that you can print them off more easily. 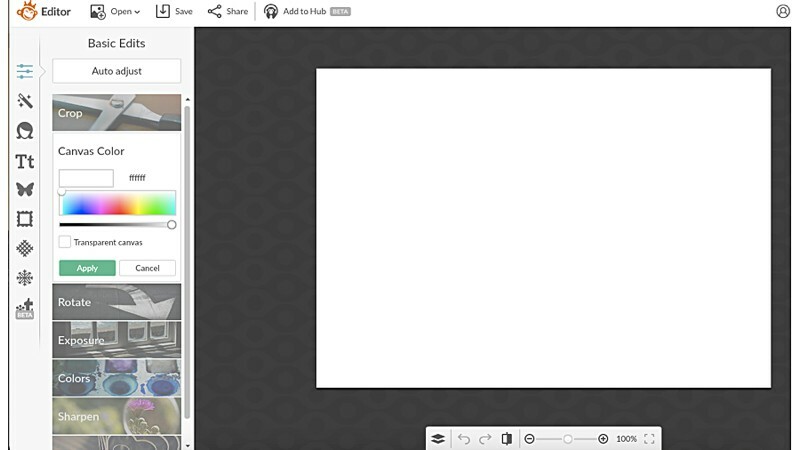 Open an A4 blank canvas in Picmonkey (2100px x 2970px) and add the cards to it so you can print them out in bulk. You should be able to fit 8 to the A4 sheet. You can open them by going to the ‘Overlays’ menu on the left hand side (butterfly) and then choosing ‘Add Your Own’ from the top which will allow you to browse your computer to add each card one at a time. 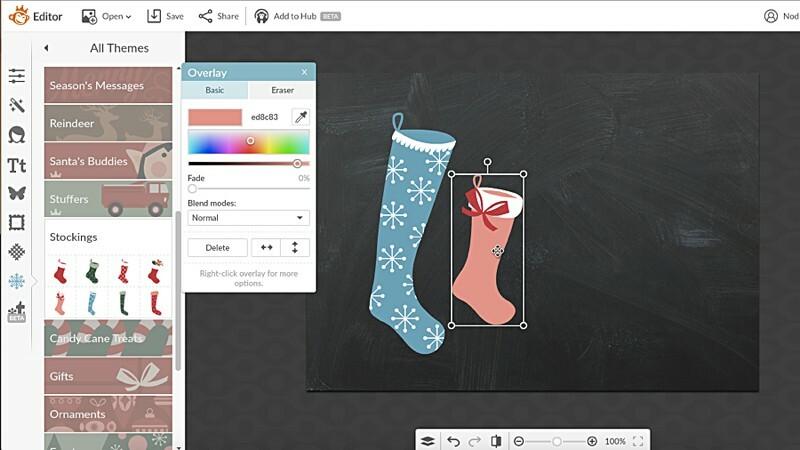 Resize them on the canvas then save back down to your computer. 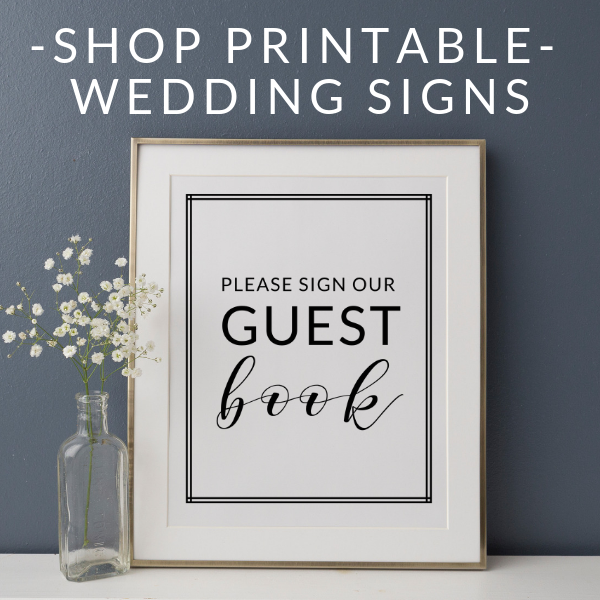 STEP 8: Print them off (check out my post on how to print wedding stationery at home for tips on how to get the most professional results) then cut them to size using the paper trimmer. STEP 9: Get decorating! 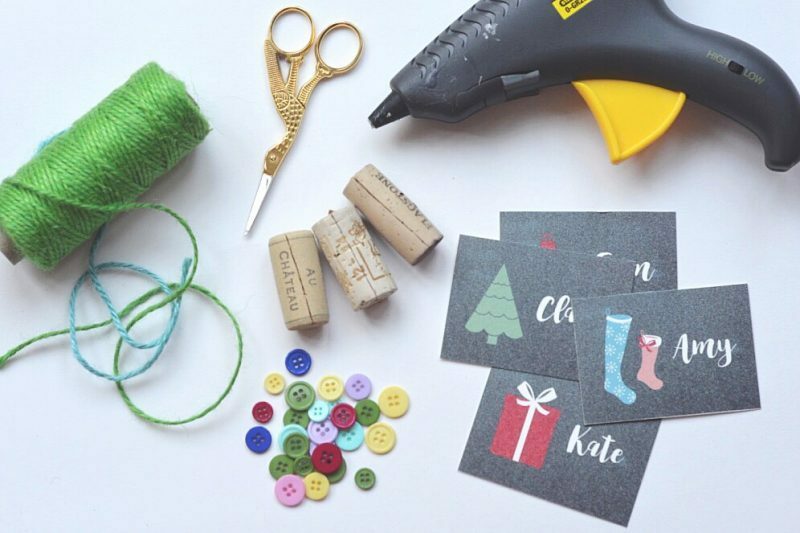 Add buttons, twine, glitter and whatever else you want to add some fun detail to each card. A hot glue gun will give you the best adhesion, but PVA glue or even double sided tape would do in a pinch. STEP 10: If you’d like to try my wine cork placeholder idea then you have 2 options. You can buy the wine corks ready to use (try Etsy) or make your own using some used corks that you can save up. 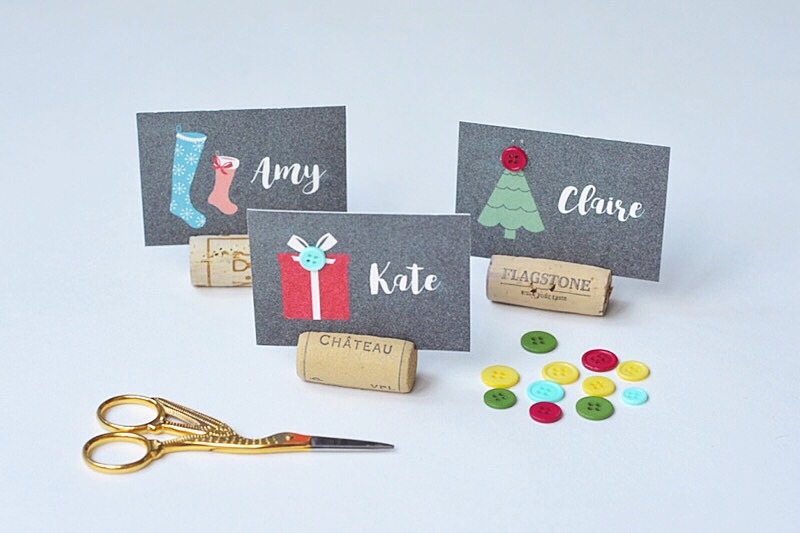 What do you think of these personalised place cards as fun Christmas table favours? These are definitely going to be gracing our table this year!